This volume, dedicated to the archaeologist Dr. Gregory Possehl, has been edited by his former students, and presents a series of case studies that develop and investigate the broad range of ideas and research that "Dr. P" fostered through his research and teaching. The blurb behind the book explains that these original research articles take an "important cross-regional, cross-chronological, and comparative approach to political and economic landscapes in ancient South Asia and its connections to Central and South-west Asia. 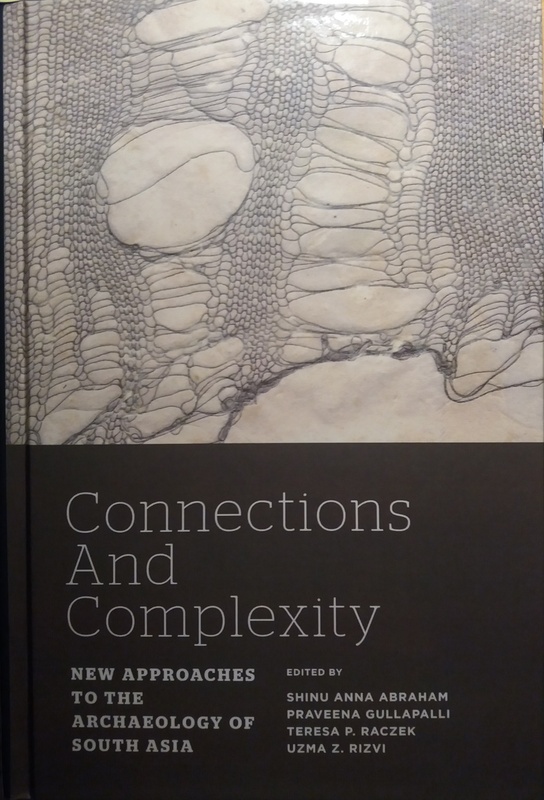 The contributions in this volume bring together varied yet connected aspects of social and political complexity." Focusing on the Indus Valley period and Iron Age India, this volume incorporates new research in South Asia within the broader universe of archaeological scholarship. (IV) Modeling interregional interaction: Middle Asian Interaction Sphere and Regional Interaction Networks. These themes are introduced in the introductory chapter, and link relevant chapters through the concepts discussed therein, in this way, many of the chapters are addressed under more than one thematic category. This book brings innovative field and theoretical perspectives, and is a welcome addition to the contemporary scholarship of South Asian archaeology. A detailed review of the book is forthcoming on Harappa.com! Citation: Abraham, S., Gullapalli, P., Raczek, T. P., & Rizvi, U. Z. (2013). Connections and complexity: New approaches to the archaeology of South Asia. Walnut creek: Left Coast Press, Inc.